You should write a book with all of the knowledge you have. 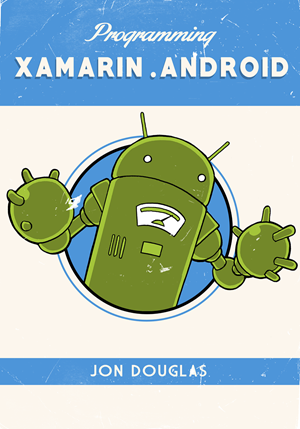 I’ve finally taken this into consideration and decided that I will be writing a complete book on Xamarin.Android. I hope to help you with the challenges of Android app development using the Xamarin.Android framework whether you are new to app development or already nose deep into a project. This book will be much different than most Xamarin books in the sense that it will focus purely on the Xamarin.Android platform. One thing I would like to ask each one of you is to subscribe to my email list to get updates on the book and early access to various chapters. I’ve added a field for your feedback as to what you want to see covered in more depth.